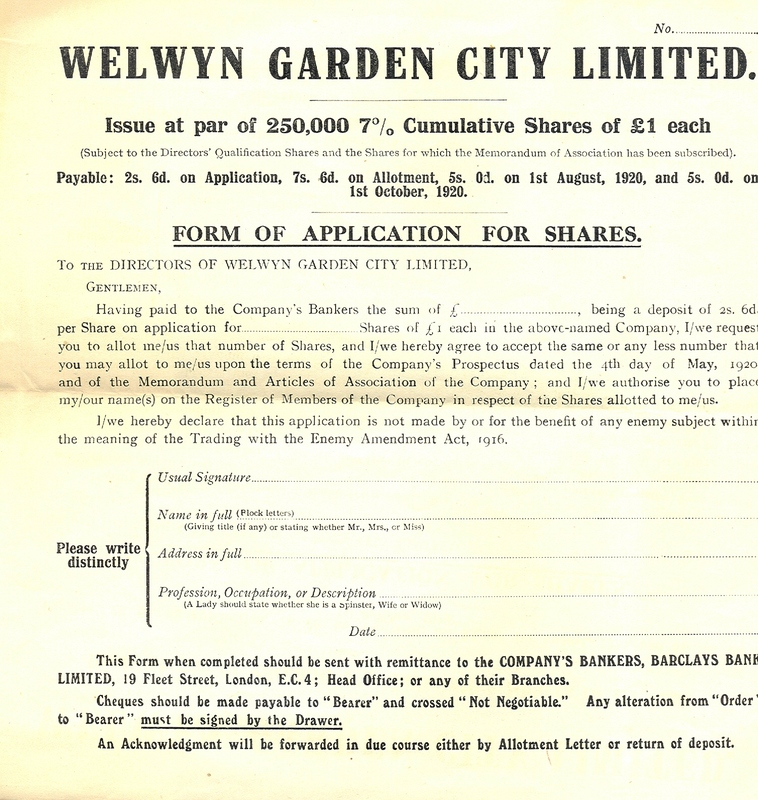 In 1920 the Second Garden City Company Ltd was registered and a Company prospectus was issued on 4th May, offering £250,000 in shares with a maximum dividend of seven percent. 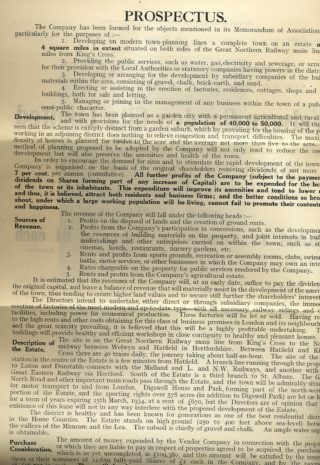 It was hoped that this would play a part in attracting people to the town, and encourage companies to set up business, providing valuable employment. 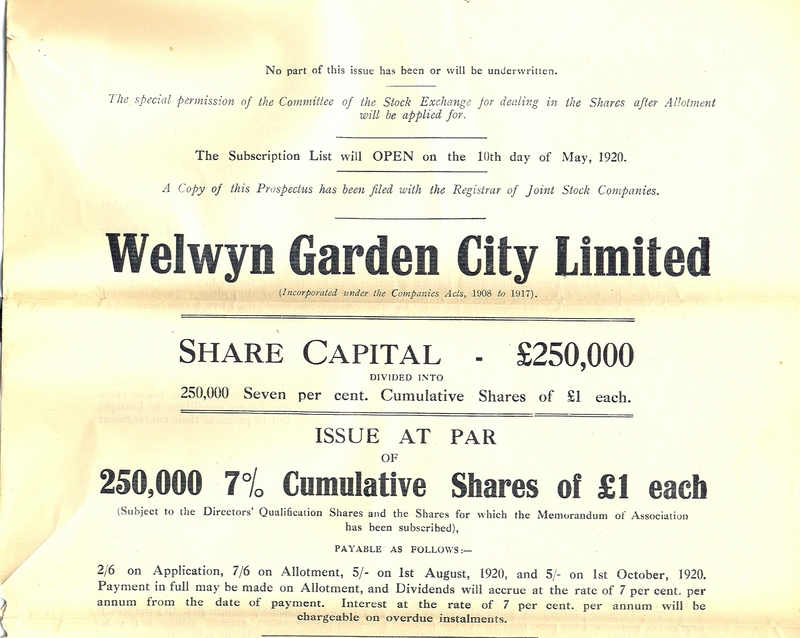 It was very unfortunate that the timing of the issue of shares was in the midst of the first world war slump, and the city financiers wanted no part in a scheme that could provide a small dividend with such an uncertain outcome. The issue failed. 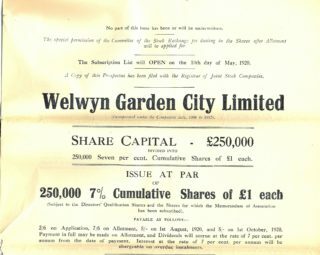 The most serious problem resulting from this failure was that the board had to find money from elsewhere to complete the purchase of land from Lord Salisbury. 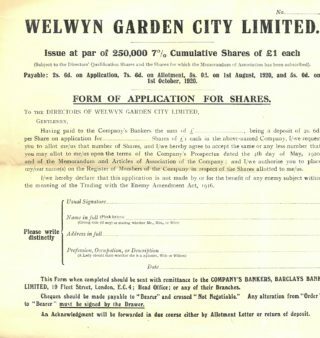 Barclays bank was aproached but imposed unacceptable conditions, so through Mr Arnold Rowntree, Midland Bank was approached, and together with Theodore Chambers they were pursuaded to grant an overdraft of £125,000. 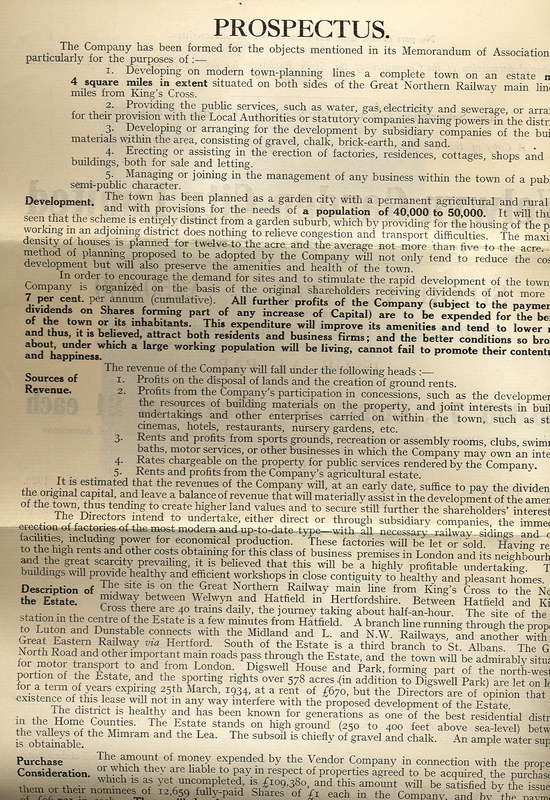 This enabled the land to be purchased and the first development to start. This page was added on 14/12/2010.